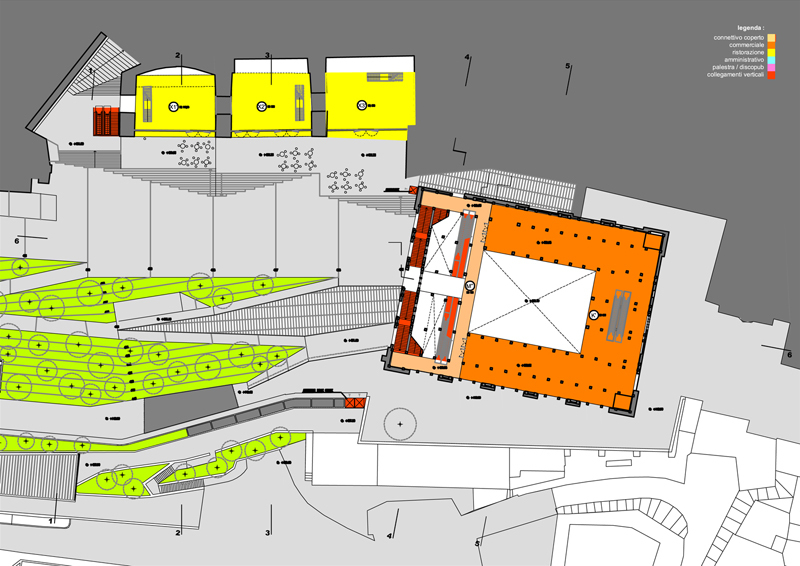 The site is located in the northernmost confines of the historical city, adjacent to the new Minimetro` line designed by Jean Nouvel. 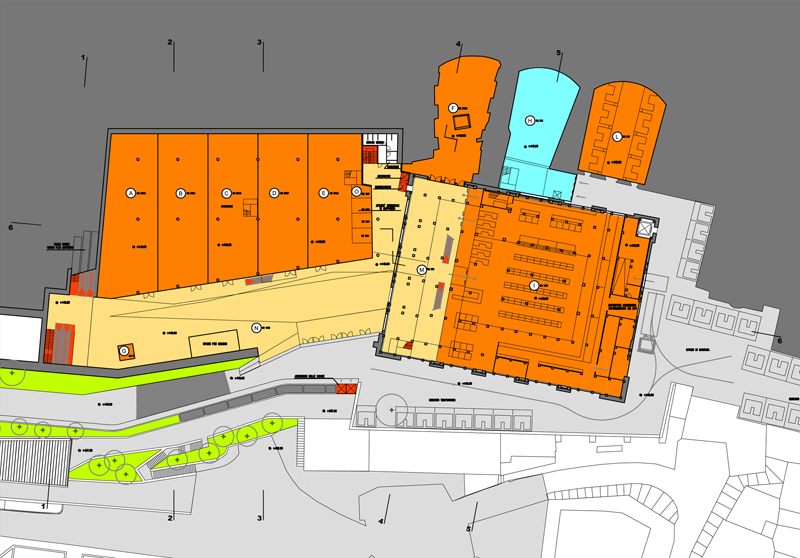 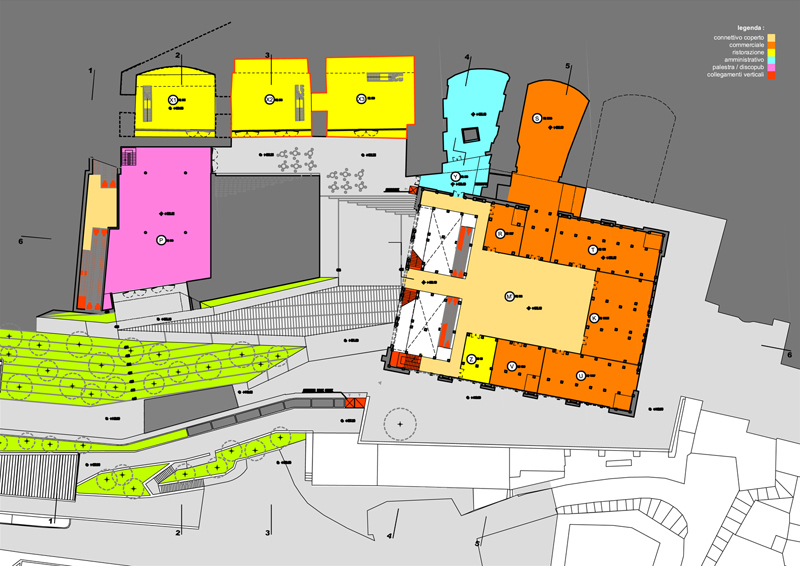 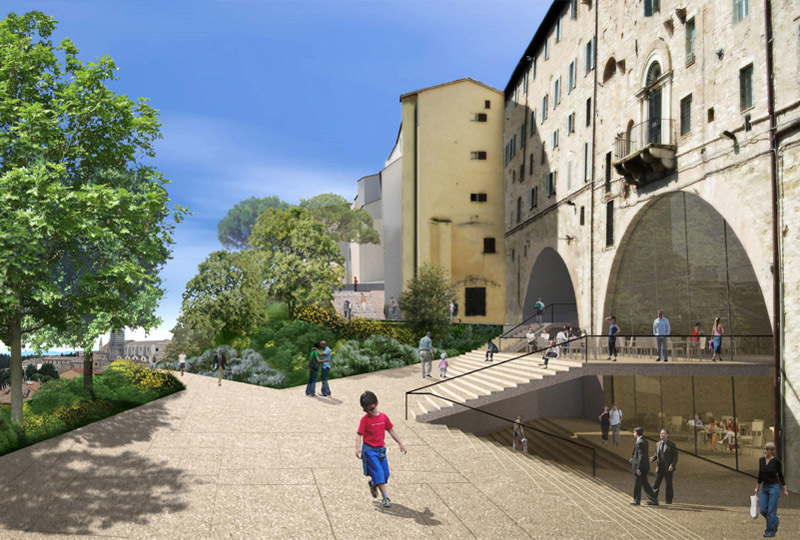 The plan includes project financing for the construction of a 300 space parking garage, 12.000 square meters of commercial and exposition space, renovation and rehabilitation of historical buildings, public spaces, gardens, piazzas, streets and escalators. 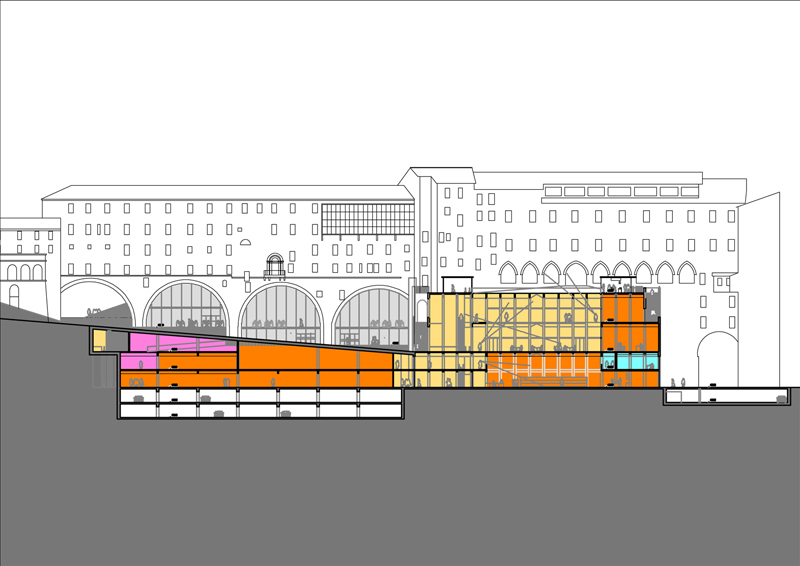 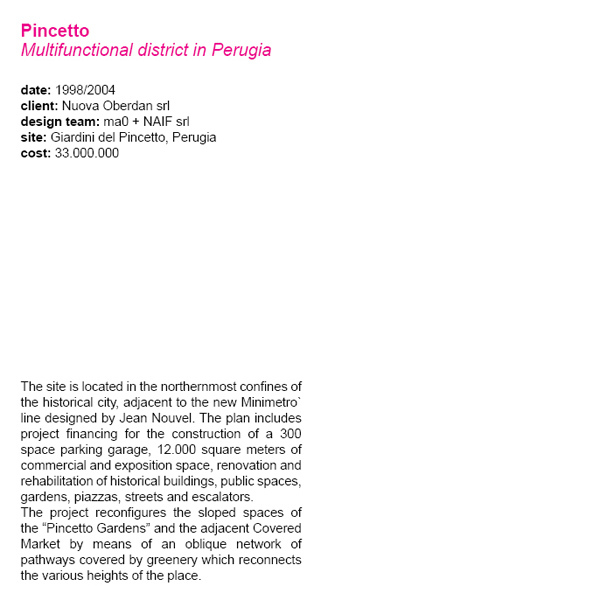 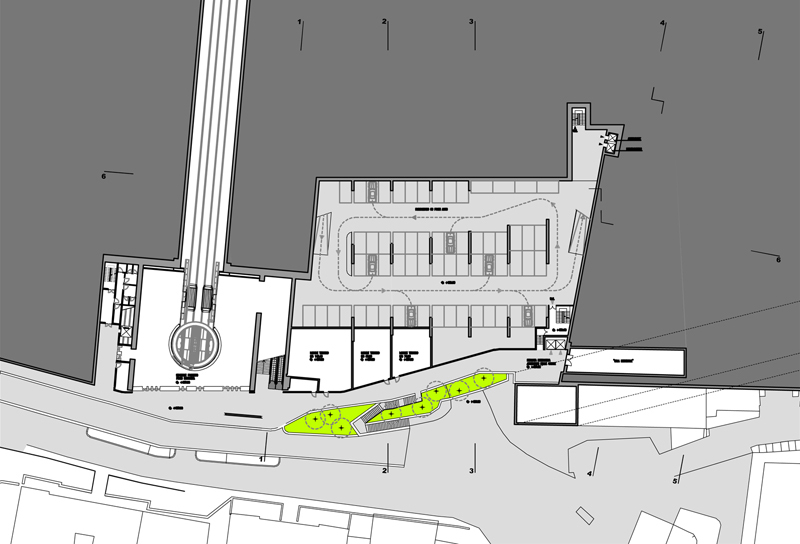 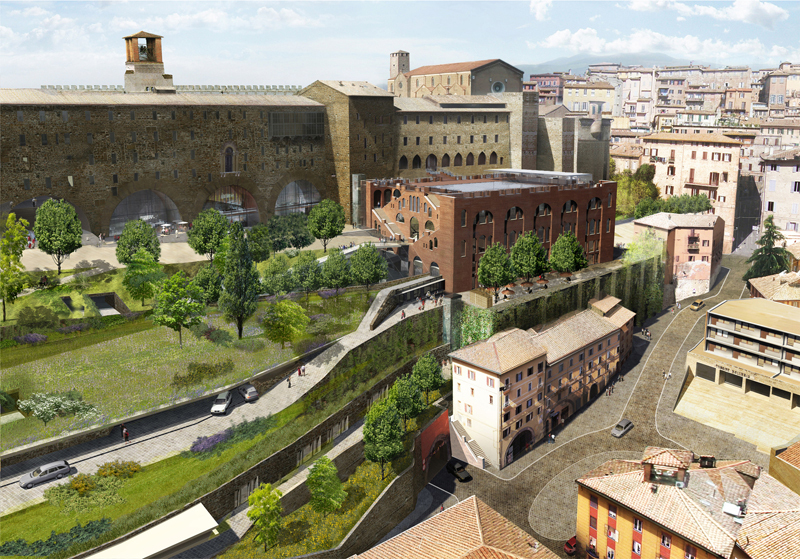 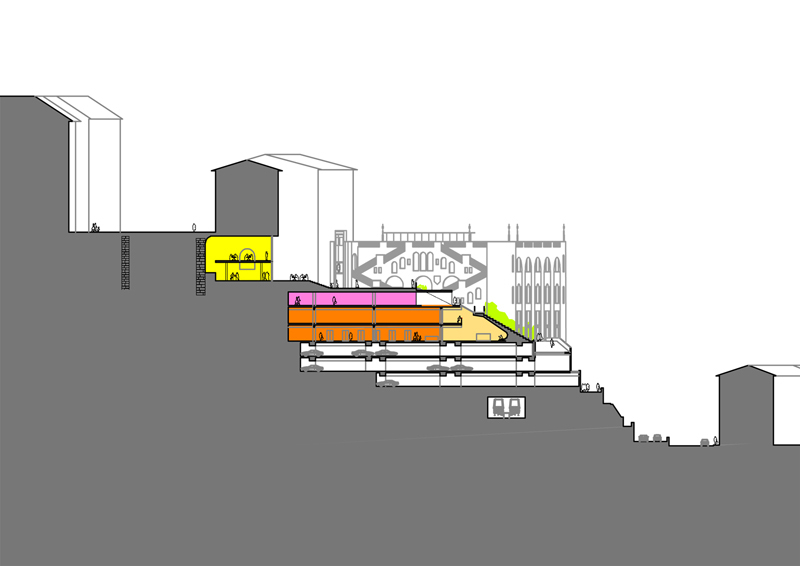 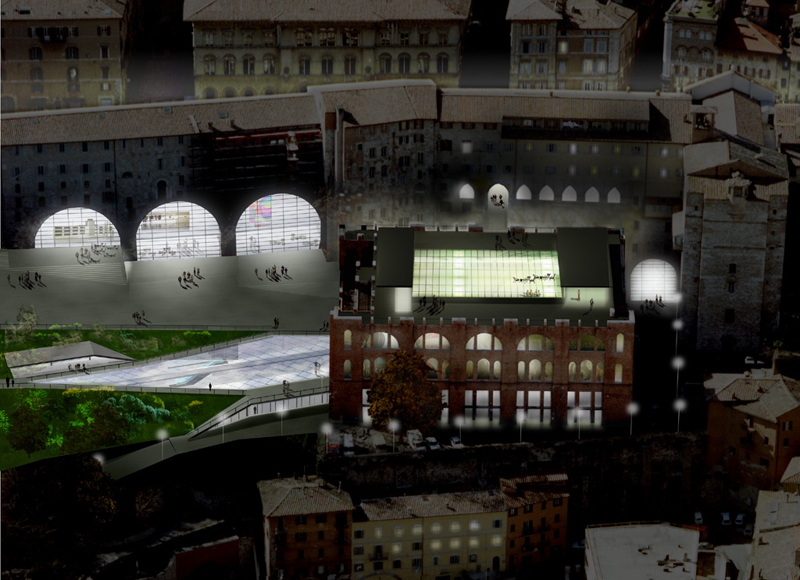 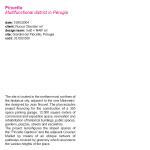 The project reconfigures the sloped spaces of the “Pincetto Gardens” and the adjacent Covered Market by means of an oblique network of pathways covered by greenery which reconnects the various heights of the place.